We are glad to welcome you our website - Healthy World. 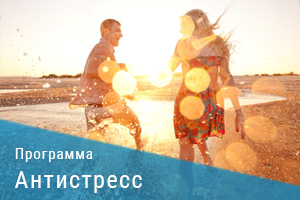 Sochi Travel Company is one of the leaders in southern of Russia, in terms of health and recreational tourism. We have been active since February, 2002. What is the core value of our offers?! The South of Russia is a home to a number of well-known resort towns. The resorts of Sochi, Anapa, Gelendzhik, as well as Kislovodsk, Essentuki and others have been extremely popular since the Soviet time. Annually, more than 20 million people from all regions of Russia and foreign countries visit these resorts. But how to sort out the variety of offers from ten thousand of hotels, over a thousand spa facilities (medical centres with good medical equipment, which focus on the wide use of natural healing methods:- therapeutic mud, therapeutic mineral water, thermal springs, and all this under strict medical supervision. The state license is obligatory)? 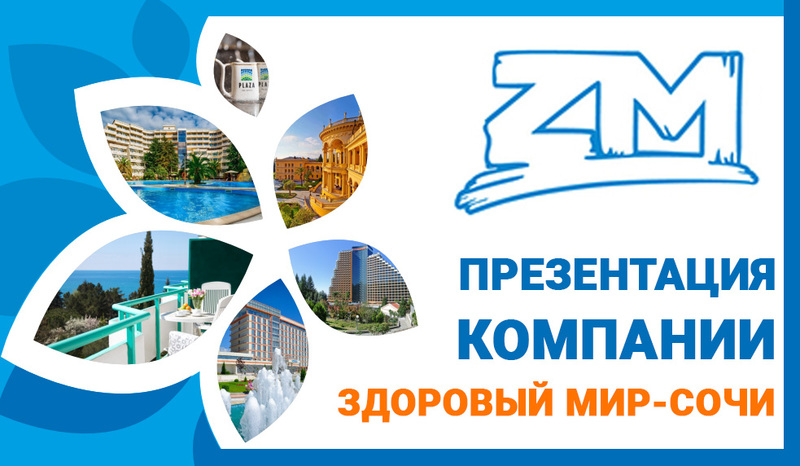 Specialists and experts of our company with education in the field of tourism, and medical education, intentionally select 10-12 of the most attractive facilities in each segment of the market in each resort city so that to ensure the highest quality of service and, at the same time, mindful of the cost of these services for the client. As a result, we have offers from about 80-100 hotels and spas, the best in their market segments. Moreover, all services on hotel selection, booking, and execution of the required documents for our clients are completely free. Furthermore, we give all the required guarantees concerning quality and safety of the services provided for in the current legislation of the Russian Federation. How do we build communication with our clients and partners?! We speak Russian and English. You can always send us a letter with your wishes and preferences, the purpose of the trip and other aspects important for us in order to be able to provide you with the maximum assistance. Within a short time, we'll send you our offers to make your stay at the Russian resorts as comfortable as possible. We not only provide accommodation at the hotels, but organise business visits, provide a full range of services for organising health and recreation trips (this is especially advantageous for our foreign guests, as the prices for accommodation with treatment and doctors’ consultations start from 30-40 Euro per day). We are always glad to offer you transfers, excursion programs and familiarisation tours of the resort you choose with the best guides who speak your language. You may also use any communication channel specified on our website. First of all, these are tours to the spa hotels of Sochi resort, which provide medical procedures with a visit to the Matsesta sources. Matsesta is the world-famous thermal water resort, first mentioned as early as in 137 AD, when Flavius Arrian, the famous commander of the Roman Empire, reported to the Emperor in Rome about the sources with extraordinary healing power. During the Soviet times, the state invested in the development of Matsesta balneological resort the amounts equivalent to billions of US Dollars, and now local doctors treat diseases of the locomotive system (Arthritis and Arthrosis, neck, spine, lower back, and joints disorders), as well as skin diseases, increased or decreased pressure in the blood circulatory system, and male or female health problems. To complete the course in Matsesta resorts (8-10 baths every second day), it is required to stay for at least 18-21 days at one of the spas that provide these services. At the time of your inquiry, our experts will always recommend 3-4 star hotels to ensure that your stay and treatment would be as comfortable as possible. The cost of the tour with three meals daily, doctors’ consultations and bathing courses in Matsesta starts from 540 - 650 Euro for 18 days. The prices can vary, so we ask you to always specify the price as of the date of your inquiry. The second most popular offer is the "Silver age" treatment programs for the older generation (55-60 years of age and older), and "Anti-stress" for those who work hard and feel tired and exhausted. Almost all the guests who have taken advantage of these programs note a significant improvement in their state of health within just three or four days. The guests wake up an hour or even an hour and a half earlier than usual, while feeling vibrant and full of energy. These are not year round programs, and the most suitable time for treatment is October to May. The third type of a tour is familiarisation and/or short-term business trips to Sochi and Krasnaya Polyana, during which our guests can learn more about this most famous Russian resort where the Winter Olympics were held in 2014. At request we do not merely provide accommodation, transportation and familiarisation programs, but are also ready to arrange for business meetings with the representatives of the Sochi municipal administration, the Chamber of Commerce and Industry or the Directors of certain businesses. The population of the South of Russia is more than 20 million people. These are the major agricultural and resort regions of Russia with a well-developed economy, professionally trained experts in various fields and an extremely rich cultural and historical heritage. The resort of Sochi alone (just one city) annually accommodates over 6.5 million people, mainly under long-term programs from 10-12 to 20 days. Joseph Stalin highly valued this region in his time. The Soviet government invested huge money in the development of the country's major health resort. The Russian President Mr. Vladimir Putin personally supervised the preparations for the Olympic Games. As a result, Sochi has indeed become a business card of modern Russia, and our company is glad to introduce the best Russian city to our foreign guests. Welcome to Sochi and the South of Russia!